Email is the digital version of sending out letters, but given that the metaphorical postal worker delivers these messages instantly, it's not uncommon for correspondence to grow increasingly brief. This email I'm about to send you doesn't contain four paragraphs. It's a single sentence, and I only want a one-word reply. Stat. Under such circumstances, loading up webmail or firing up a bulky client can feel unnecessary. Why aren't we using an instant messenger? Couldn't you have fit that into a text? (I don't have your number, silly). 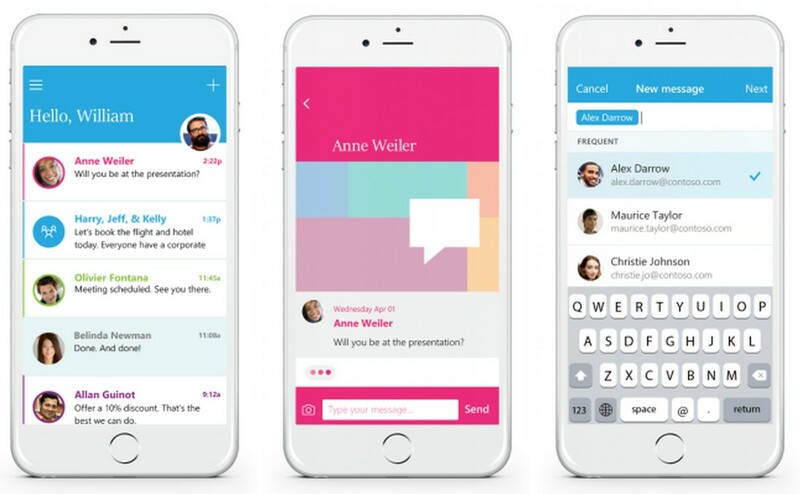 To address this particular dynamic, Microsoft Garage has developed Send. 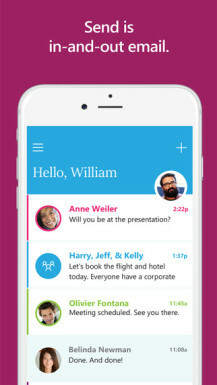 This experimental little app treats email like instant messaging. 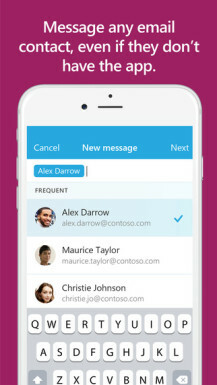 Instead of a list of senders and subject lines, you see avatars and recent conversations. 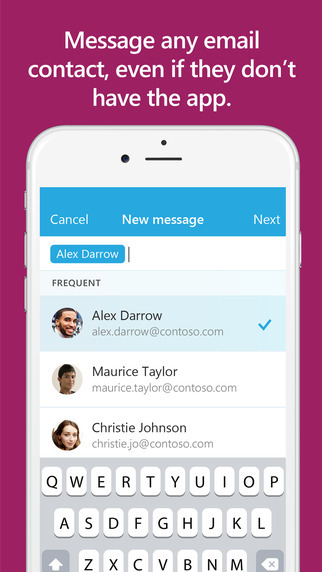 When you communicate, the app strips away the dates and signatures so that your email looks like a text. When you open up your inbox later on, you will still see all the conversations you had through Send just as if those messages had gone through a traditional client. But the same isn't true the other way around. 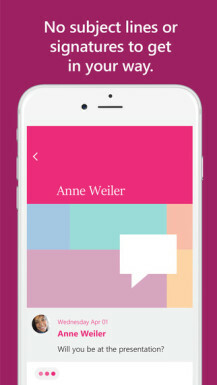 Send will only show those conversations that were initiated inside the app. 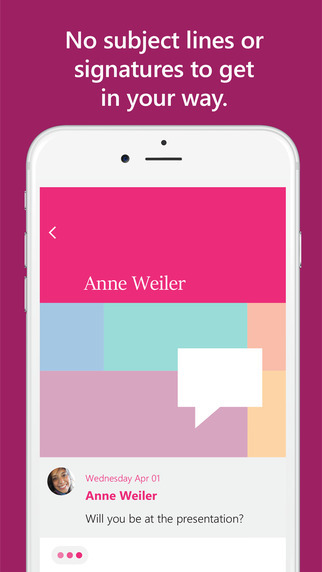 So, why have we plastered you with a bunch of iPhone screenshots? Because that's all Microsoft has provided. Send is now available for iOS in Canada and the US, but Android and Windows Phone users will have to wait. Those versions are still on the way. Swiftkey Clarity Keyboard Beta v0.5.3 #$#%! $!$*$%# @# @$&$&#@!$ #$$! @#$#%@[email protected]#!